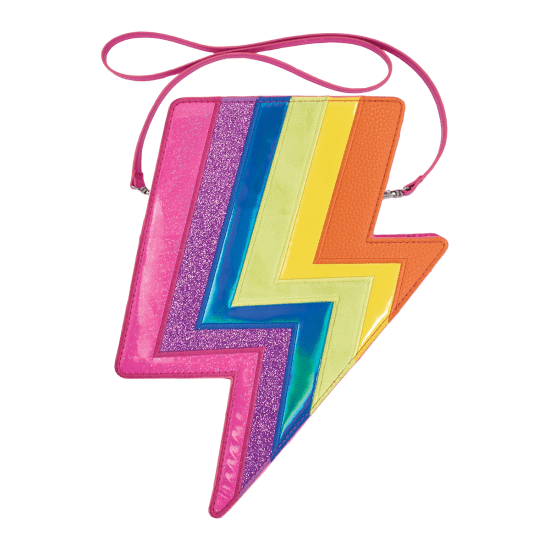 Pack a colorful punch with our rainbow lightning crossbody bag. 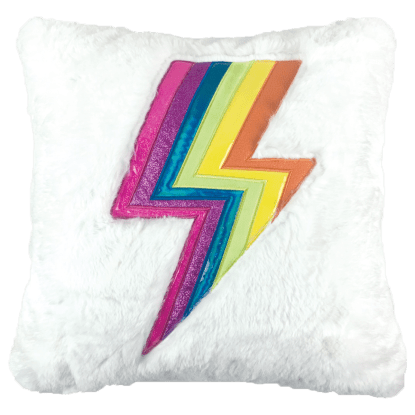 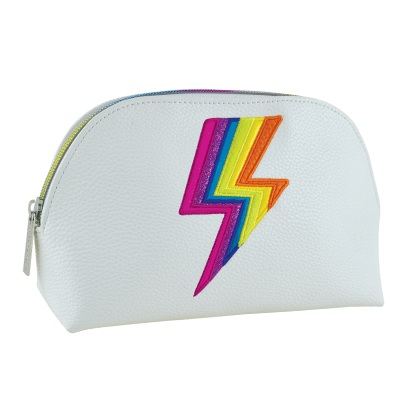 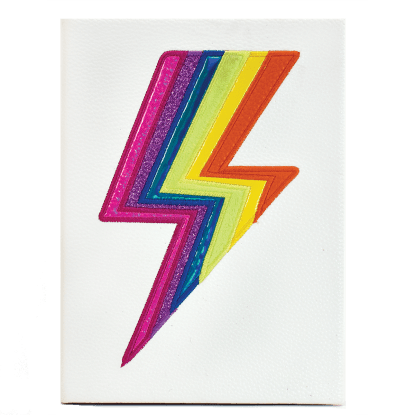 This faux patent leather purse is accented with a bright, rainbow-colored lightning bolt made of mixed fabrics. 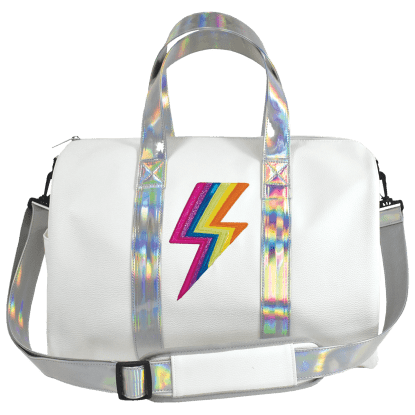 A bold statement piece that screams FUN!, it makes a great gift for rainbow loving kids and tweens.